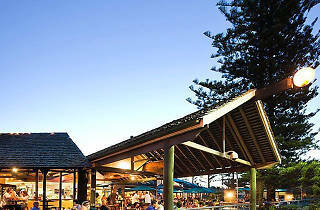 If you're looking for a beer garden with live music, the Beach Hotel is the pub in Byron Bay that you want. 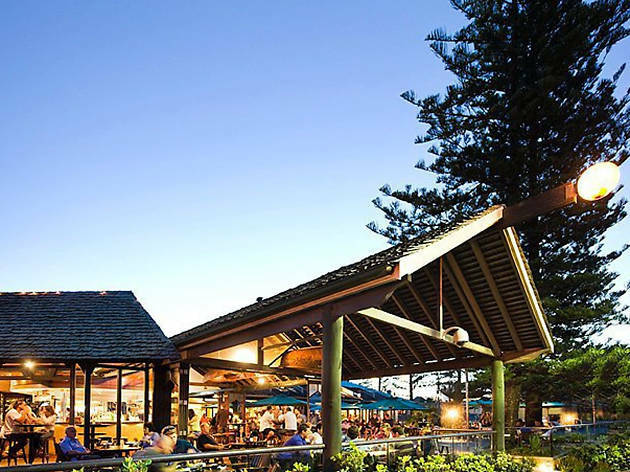 It overlooks the main beach: you can either grab an outdoor table with unrivalled views of the coast, or venture inside and watch whatever is trending in the sports world with their giant screens. A new menu offers something a little different to your classic pub feed, with a pork crackling hot dog and Thai green curry both available all day.